Emden F-210, date and location unknown. on Emden F-210. 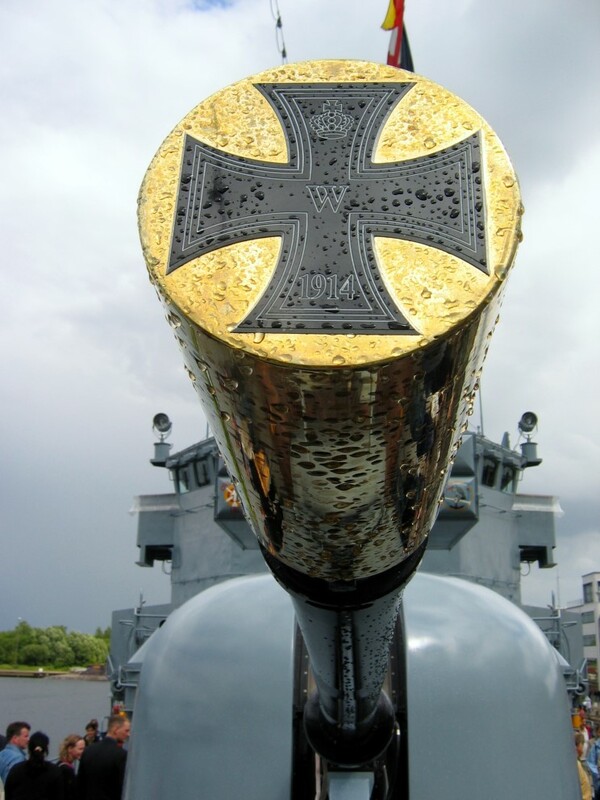 It was awarded to the Emden of World War 1 by Kaiser Wilhelm II. 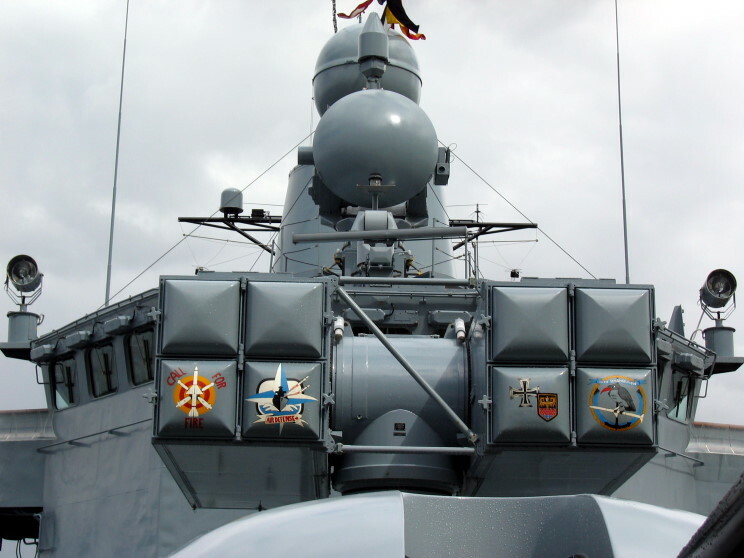 March 7, 2004: Close-up of the Mk-29 Sea Sparrow missile launcher on Emden F-210. February 7, 2005: Emden F-210 seen at the Marinearsenal in Wilhelmshaven, Germany. 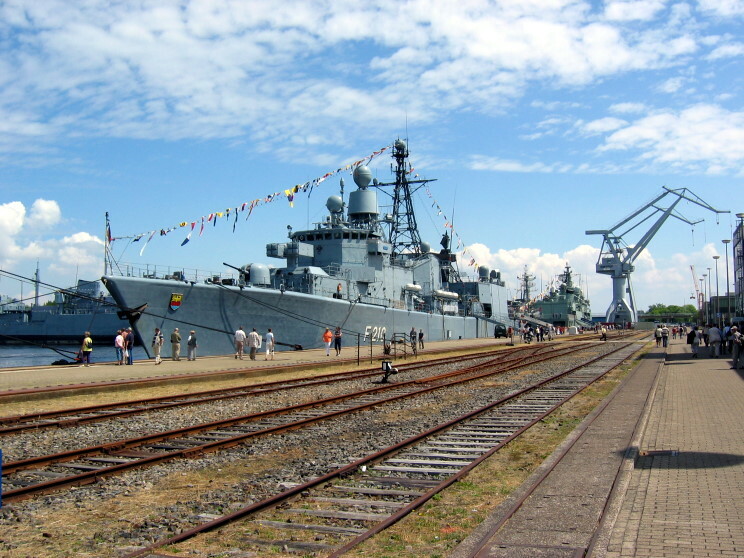 March 8, 2007: Emden F-210 seen in Wilhelmshaven, Germany.